I found Mold on my windows – what should I do? This is a common question we get. Unless you have wood windows, mold does not grow on vinyl or fiberglass windows. Mold is growing on the dust and fed by moisture. 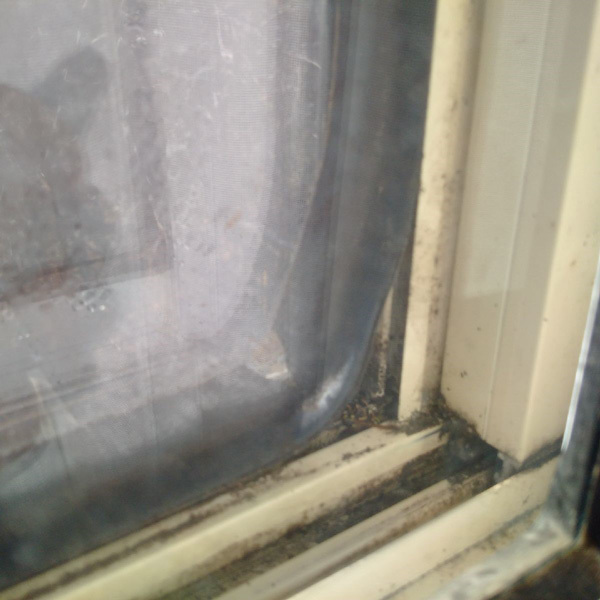 Condensation (sweating) of the windows due to the extreme difference of temperatures (-10°C outside versus +18°C inside), paired with the lack of ventilation and humidity inside is usually the cause of the mold growth on the windows. Your humidity inside the house is below 50% and clean the dust regularly. You can measure the humidity using a hygrometer. You must ensure that the window is getting enough ventilation from the HVAC registers. Do not completely cover the windows or block the HVAC registers to ensure proper air flow – especially on the very cold days. How do I remove the mold from the windows? Since this is a relatively minor issue, you can remove the mold by yourself using a product called Concrobium Mold Control. It is available at many big box chains such as Home Depot and Canadian Tire. Make sure you follow the manufacturer instructions (read the label). Concrobium will leave a residue that does not allow mold to grow and that is the main reason we recommend it versus many other products. If you have wood windows you must sand the affected areas to completely remove it.